Our carpet cleaning and steam cleaner services are recognized in SeaTac to be dependable and secure. We ensure that no damage is caused to your property in SeaTac as we use a steam cleaner for the thorough cleaning of carpets. 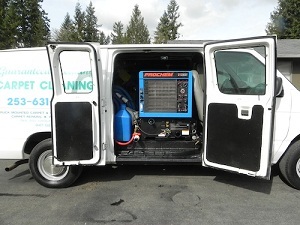 This enables our carpet cleaners for SeaTac to do carpet cleaning in a fast and effective manner. For keeping the indoor environment of your home and workplace safe, it is essential that experienced carpet cleaners and steam cleaner experts for SeaTac are hired. Using a steam cleaner, professional carpet cleaners can keep your carpets looking like new. Besides this, carpet cleaners are able to extract dirt and remove stains, which can shorten the lifespan of your carpets, with the help of a steam cleaner. Dust, dirt and pet dander can collect in your carpets over time, making the environment unhealthy and unsafe. 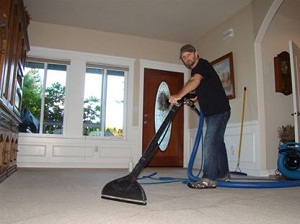 Therefore we use modern techniques, like a truck mounted steam cleaner, for extracting harmful particles from your carpets. Our highly trained carpet cleaners and steam cleaner experts for SeaTac analyze the condition of your carpet and then use the most appropriate method for carpet cleaning. 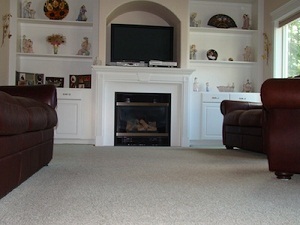 Regular carpet cleaning can not only avoid odors and stains, but also extends the life of your carpets. So make sure to hire reputable carpet cleaners and steam cleaner experts for SeaTac to get assured and guaranteed carpet cleaning services. For the best in class carpet cleaning services in SeaTac, contact Guaranteed Cleaning Service, Inc., your local carpet cleaners, at 253-631-5448.